When we both awoke feeling pretty lousy, we decided to spend the morning in our apartment. We've both been nursing colds, and this morning Ken's throat was rather raw, so we rested and slept the morning away before having lunch in our room. 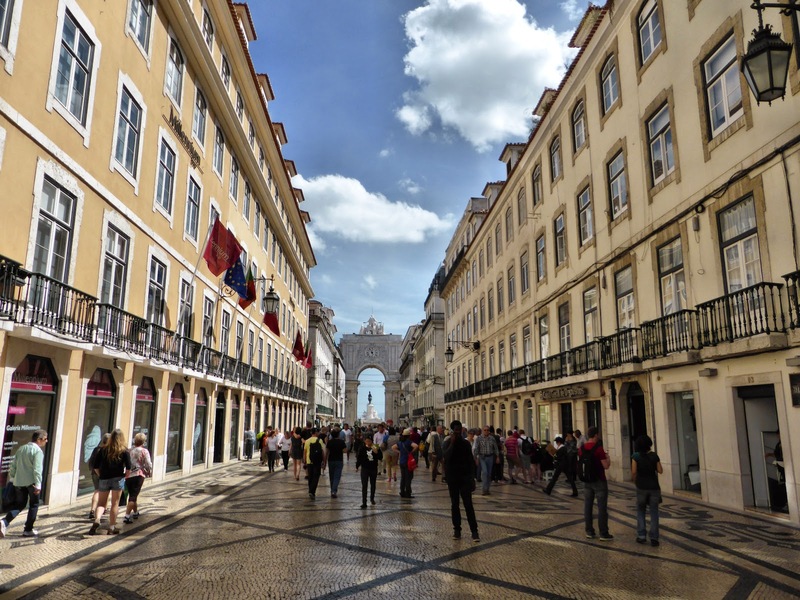 Thus fortified, we headed for a self-guided walking tour of Lisbon's commercial heart stretching between Rossio Square and another large public square, Praça do Comércio (Commerce Square) on the waterfront. 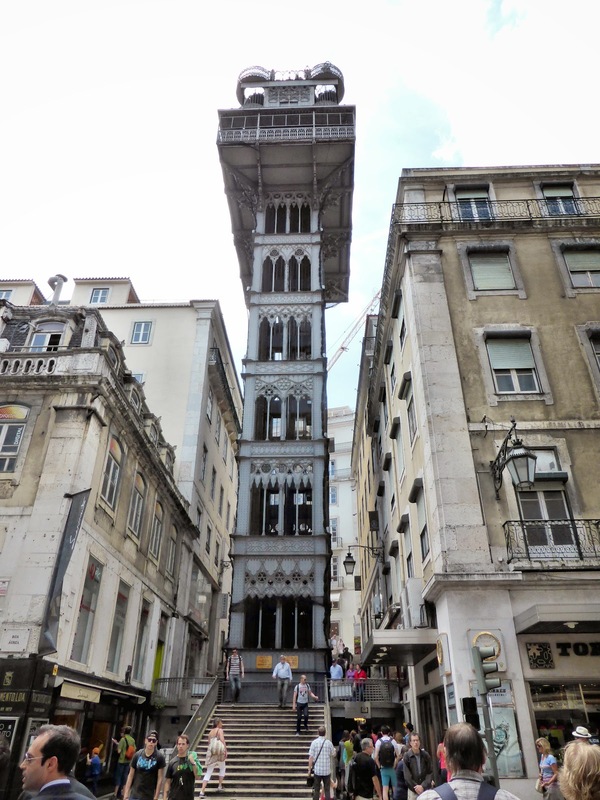 First stop was Elevador de Santa Justa, a 148-ft ironwork tower completed in 1902. 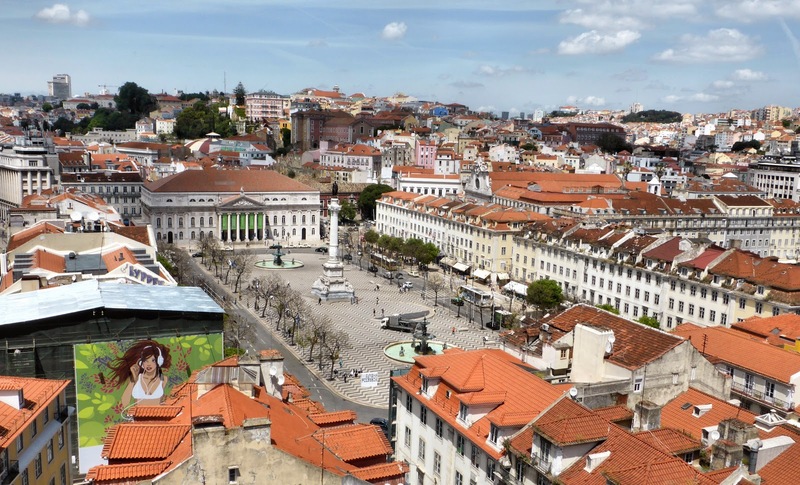 Lisbon is a very hilly city, and the elevator's primary purpose is moving people up Carmo Hill, but those who climb a 50-step spiral staircase from the platform are treated to panoramic views of the city. Waiting in line with other tourists, who seemed to be mostly European, we had our first of several encounters with Lisbon's seamier side. A beggar was going up and down the line rattling his cup of coins to encourage donations. No one responded except a British guy, who put a coin in the cup. The beggar removed the coin, looked at the value, and sneered at what he apparently considered the Brit's lack of generosity. We continued to be approached by numerous beggars throughout the afternoon. From the elevator we walked over to Rossio Square, which was much busier than we saw in our brief visit yesterday evening. Around the square, numerous enclosures protect what appear to be ventilation elements. Several of these had been staked out by homeless persons, who were napping the day away in their domains, some surrounded by all their belongings. 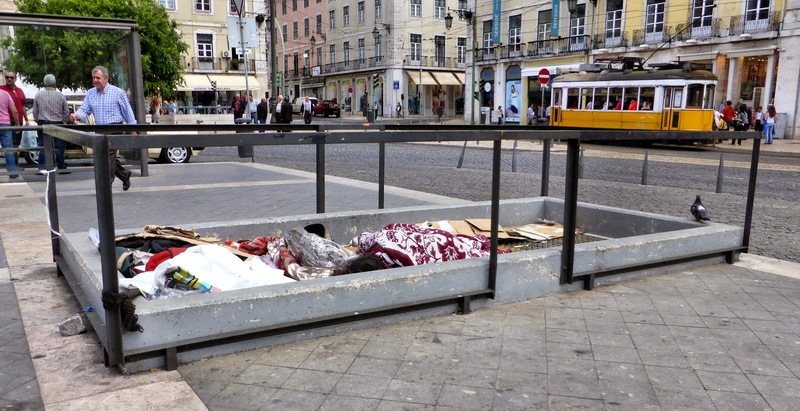 The homeless can be seen in many locations, but Rossio apparently attracts a concentration. Leaving Rossio, we went in search of some medicine and Diet Coke, which itself was a form of medication for a caffeine-deprivation headache. We checked out dozens of stores around a couple of squares before finding the wonderful Mercado da Figueria, an upscale supermarket, which had cold Diet Coke on hand. This was actually the first store we found in Lisbon sellling Diet Coke, with Coca-Cola Zero being much more prevalent here. Near Figueria, we found a pharmacy with a clerk fluent in English and purchased some throat lozenges and an antiseptic throat spray. Soon we would be offered more drugs, but not of the pharmaceutical variety. 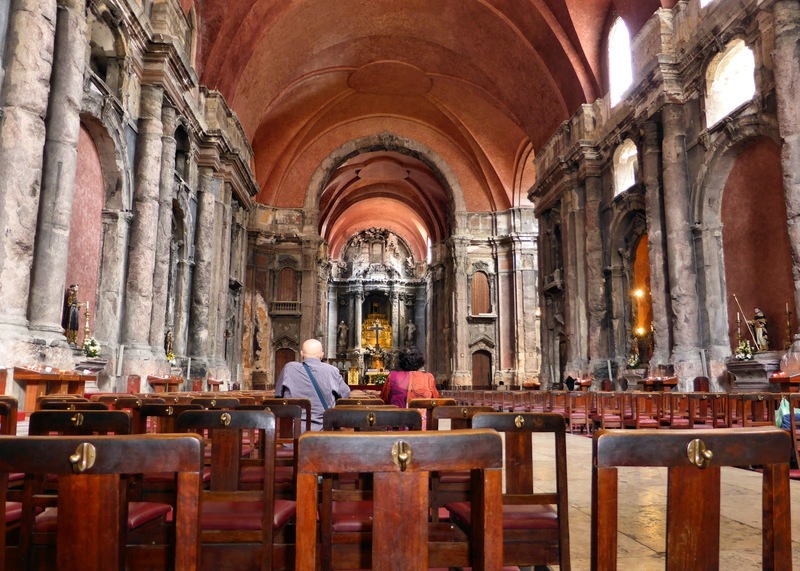 Having addressed our more immediate needs, we continued our sightseeing at the nearby Igreja de São Domingos (Church of St. Dominic), a spectacular structure with a storied past dedicated in 1241. 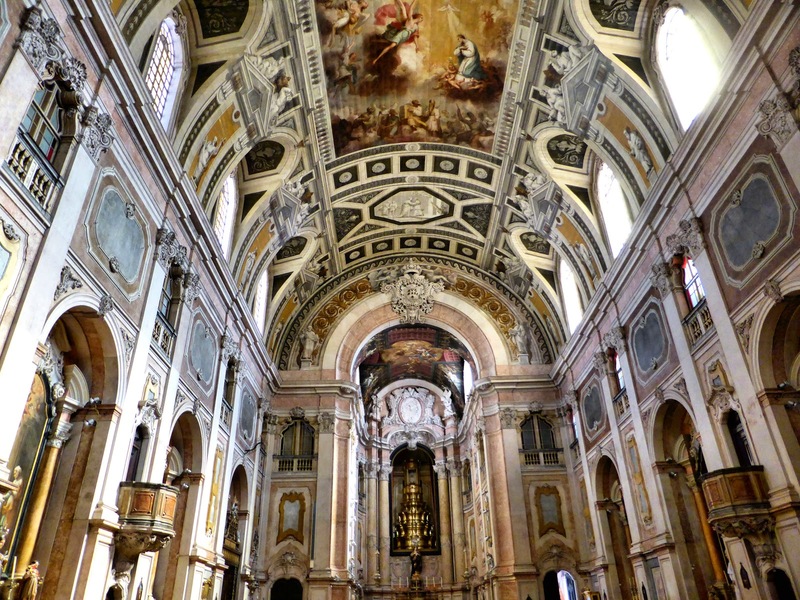 Once the largest church in Lisbon, it hosted royal weddings and served as home of the Inquisition in Portugal. 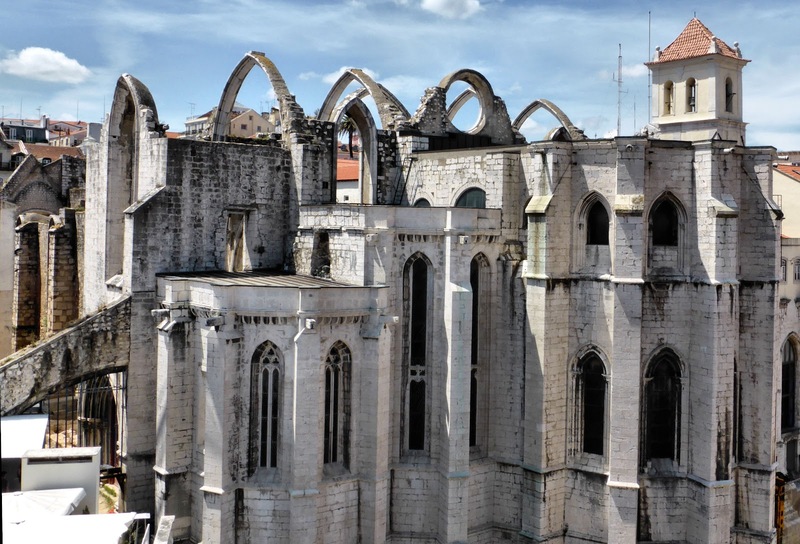 It was heavily damaged by earthquakes in 1531 and 1755, rebuilt only to be devastated by fire in 1959. Restoration after the fire, which gutted the church and left two firemen dead, took 35 years and retained many signs of the fire in place. 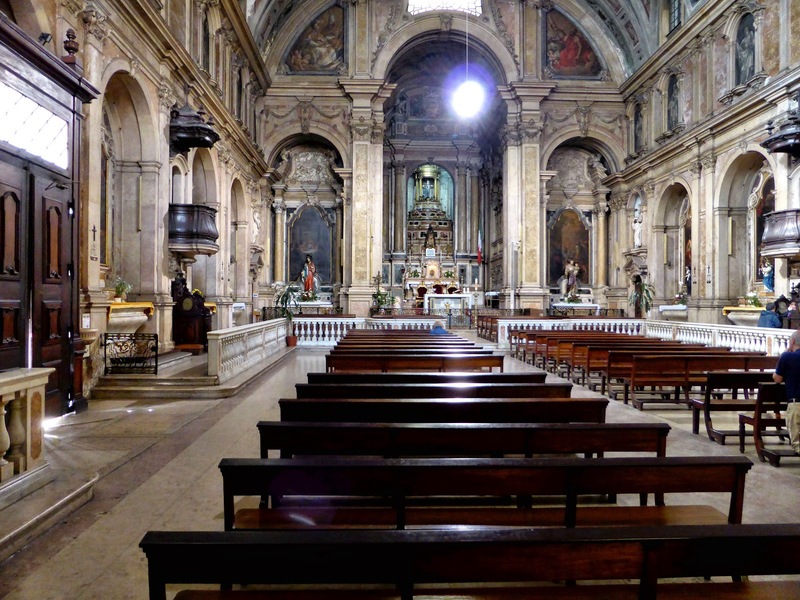 Quite a contrast to this quiet haven, Rua Augusta was our next destination. 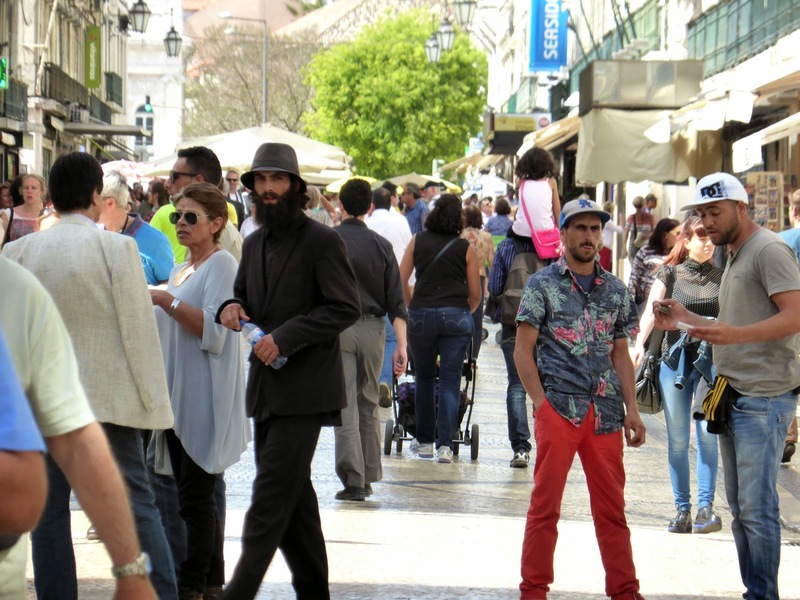 A lively pedestrian thoroughfare lined with mosaic pavements, outdoor cafes, international shops, and the occasional street artist and peddler, the street was teeming with tourists and locals. 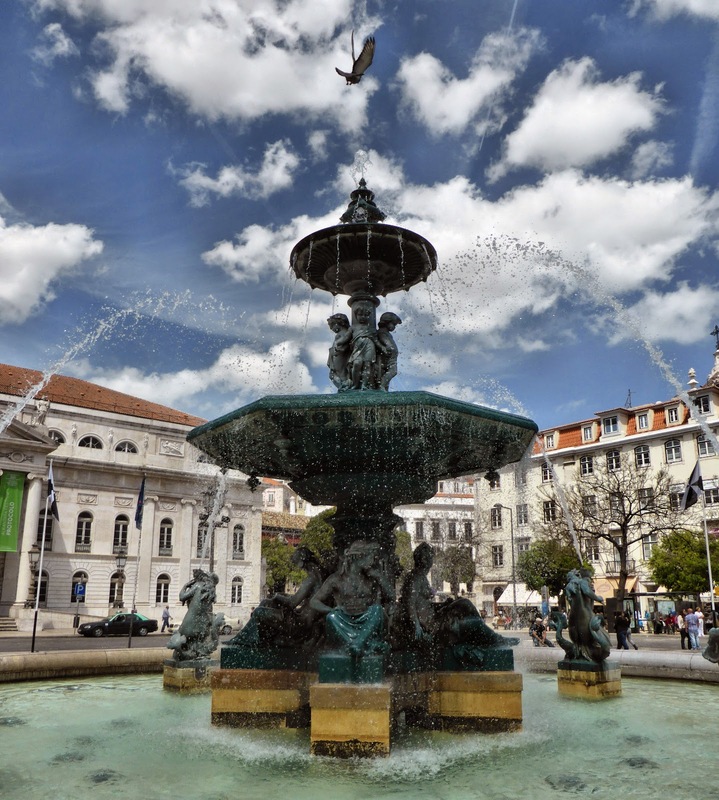 In just over a quarter mile from Rossio Square at one end to Commerce Square at the other, two individuals approached us offering to sell hashish or other drugs. The second, who returned after our first refusal, was so persistent he wouldn't leave us alone until we yelled, "No! Get lost!" At the end of Rua Augusta we walked through the Arch of Victory into the vast Commerce Square, once the home of Ribeira Palace, the domain of Portuguese kings for 250 years until its destruction in the 1755 earthquake. Today the area hosts government offices and a large open space, all overseen by an imposing statue of King Joseph I. 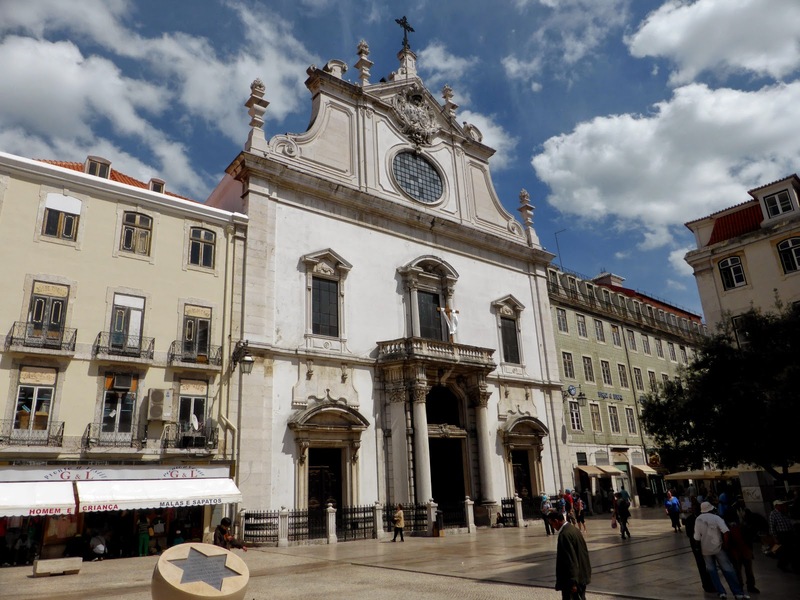 With high temperatures in the mid-70s and sunny skies, the day was perfect for strolling, so we continued along the waterfront, to Rue Alecrim, where we turned north, eventually making our way—after ducking into and admiring a couple more churches—to Cafe No Chiado for dinner. From there it was a short walk back to our hotel, where we took advantage of having a washing machine in our apartment and did a bit of laundry, a task whose importance has magnified since we mailed part of our clothing home. No tumble dryer, of course, but a sizeable drying rack is provided. 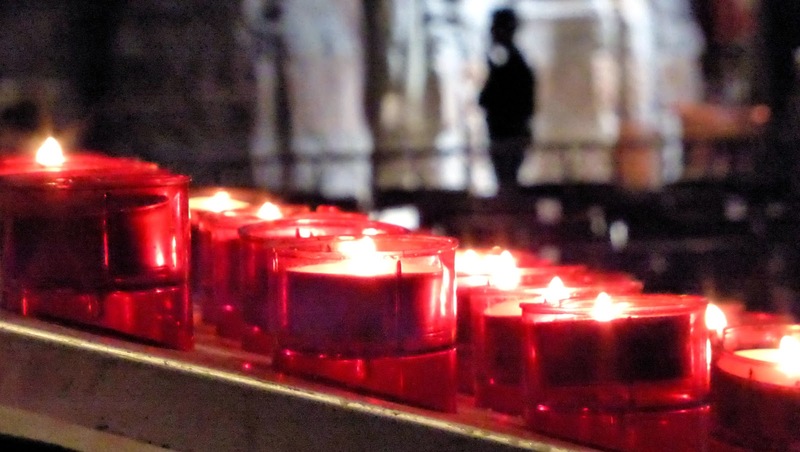 Tomorrow will be our last day in Lisbon before we move on to Morocco. 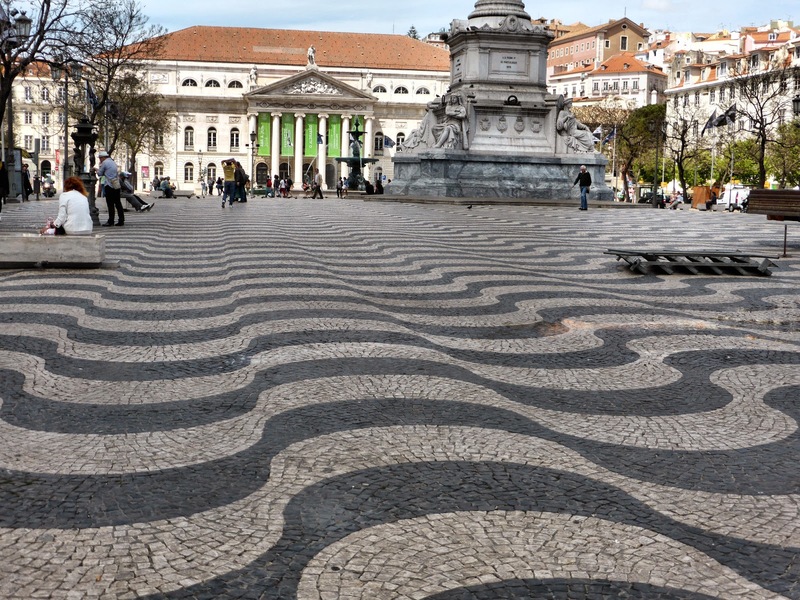 Though its surface is level, tiles in Rossio Square create an optical illusion of ridges.